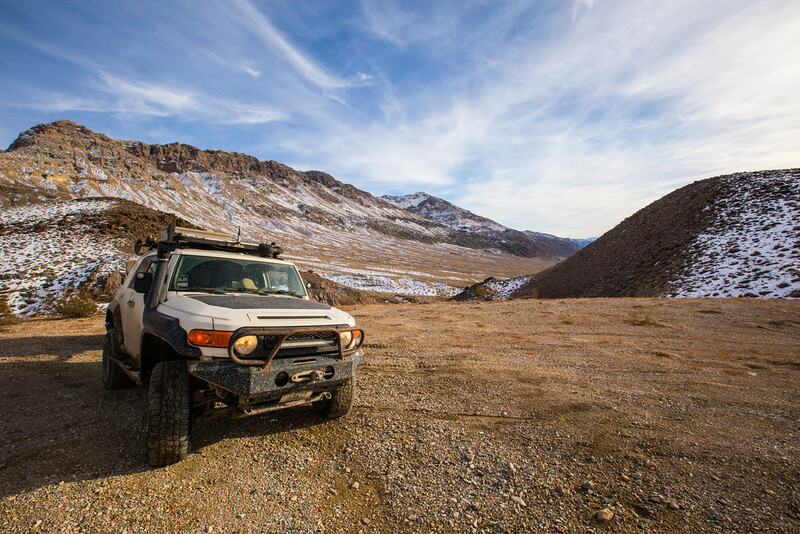 Our January trip this year was to Death Valley and Saline Valley Hot Springs. I will say that I have had very good luck with mechanical issues while in the backcountry, but with this trip it was to change. 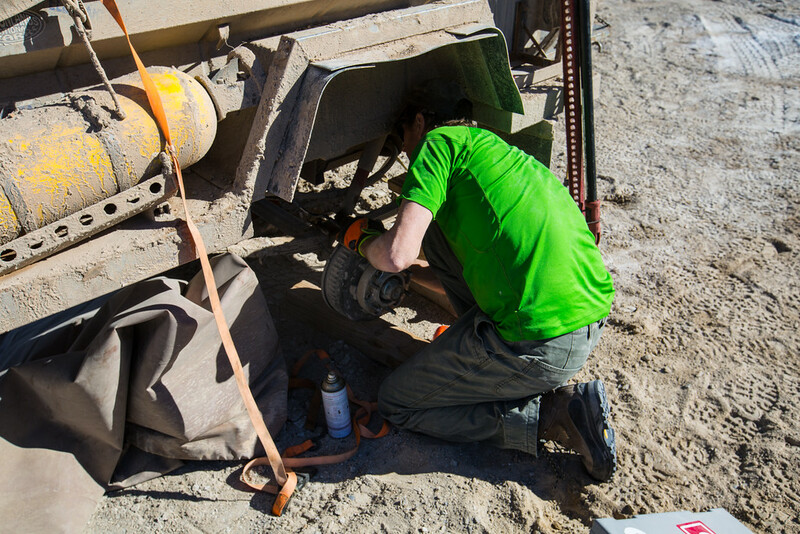 Vehicle and trailer maintenance is key to successful backcountry adventure trips. I go through the trailer and the FJ prior to a trip to ensure that all is good to go. This trip showed me that there are issues that you just might not see. Looking for adventure we were making our way to the hot springs over Steele Pass, the more adventurous route. With it getting dark we were making good progress and looking forward to arriving at this springs. I felt a sudden jolt from the trailer and looking in the mirror I could see the trailer tipped to the right side. I immediately knew that I had lost a tire, however, what I found once I looked at the trailer was a worst case issue. 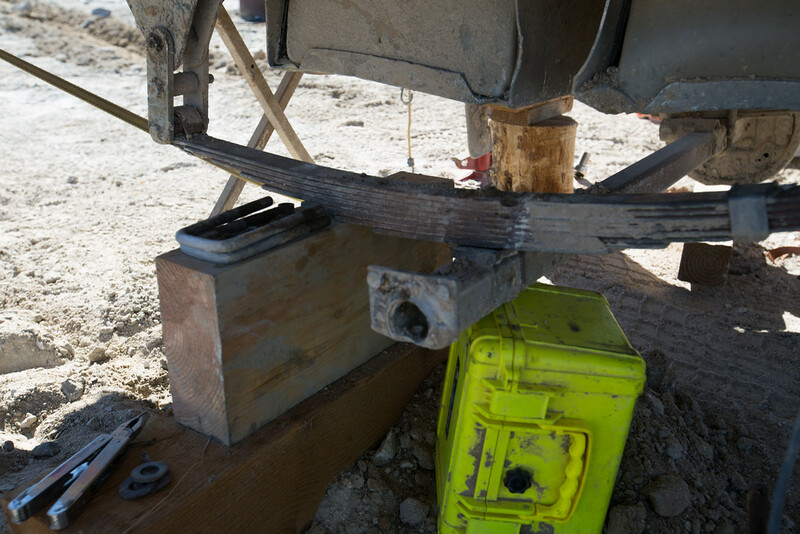 The welds holding axle spindle in the cross bar had broken and the spindle had fallen off. 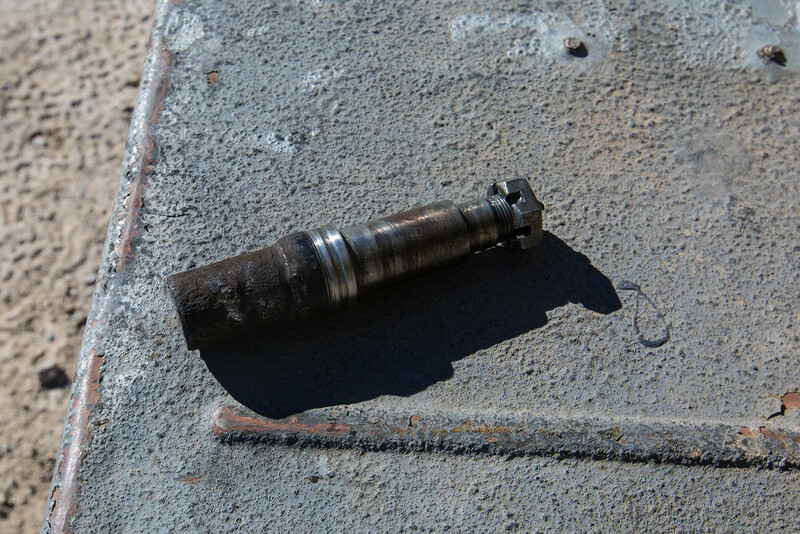 There were only two solutions, weld it back on or drive out and get a new axle. I had no desire to camp where the trailer failed so I chose to drag the trailer into camp. 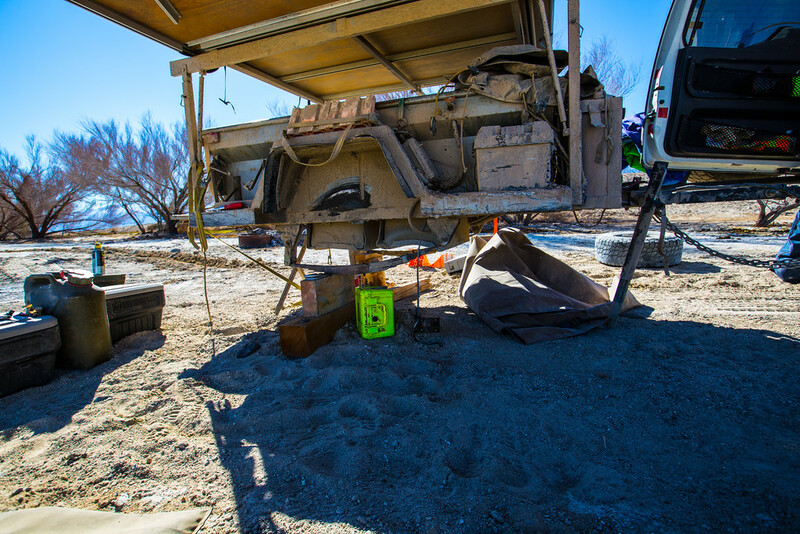 M416 trailers are built to military specs and extremely durable. I had no concerns about hurting the trailer anymore so away we went….. at 1.5 miles per hour. The next 6 miles took about 3 hours to travel. I thought that Lee the caretaker of the springs had a welder and that we might have a solution that would not take hours of driving. Yes he did. The next day I removed the axle from the trailer and Lee was able to weld the spindle back in and I again had a functional though not perfect trailer. One of the few things I do not carry is a welder and this is about to change. I am going to add a kit that allows me to use two batteries to perform trail side welding. In many years of off road driving this is the first failure that a welder would have fixed and it may be my last, I will be ready next time.